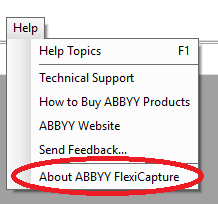 ABBYY FlexiCapture 12 Update Now Available! We have discontinued our online store which was previous found at www.ufcinc.com/store. We still sell and service the same software products and services and accept online payments but will no longer provide this service through the online storefront. We are so honored to have received ABBYY's Technology Marketer award, making us an award winning partner for the 5th consecutive year! You can read more about our award and the other awards from this year's summit in Business Wire's article. New Add-on Available for ABBYY FlexiCapture! UFC, Inc. Receives ABBYY Technology Marketer Award for 2017! 5% Off Deal On Page Count Increase Has Been Extended! ABBYY FlexiCapture 11 (Build: 11.0.4.2059) is Now Released!